(per Wikipedia) Hideichi Nagaoka (Japan, 1876–1952) (his first name is sometimes mispronounced as either Hidekazu or Shūichi) promoted to Kōdōkan 10th dan in 1937. 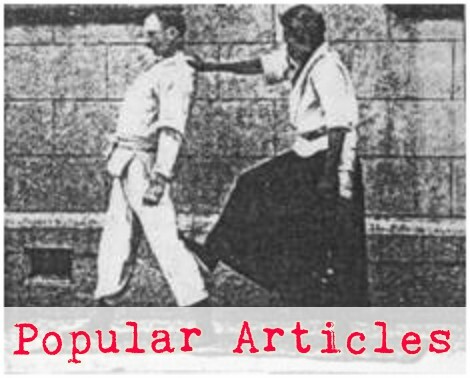 He was the last of only three people to be promoted to 10th dan by Kanō-shihan himself. (per Judo Channel) Shuichi Nagaoka studied the Kito-ryu style in Okayama under Kensaburo Noda. He came to Tokyo in 1892 and entered Kodokan in January of 1893. But the 1895 syllabus of the Kodokan already contained a wide variety of ashiwaza under the names we know today by the time Nagaoka was shodan or nidan - just 2 years after he started at the Kodokan. So, much of the ashiwaza must have predated Nagaoka. 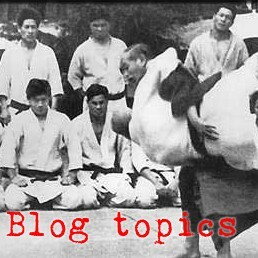 In fact, Daigo says in his Kodokan Judo Throwing Techniques book that the early Kodokan demogods used small ashiwaza almost exclusively to demolish their field of competition in the 1886 Metro Police Tourney. So, they were making good use of sophisticated ashiwaza years before Nagaoka. I do not, however, think that it is a stretch to suggest that the ashiwaza that was present in the Kodokan in the 1890's resonated with Nagaoka - probably because of his prior training and experience - so much so that Nagaoka became known for his ashiwaza. Something in his past jived nicely with the ashiwaza that Kano had instituted at his school. I think that past something was probably Kito ryu. So, it appears that the ashiwaza of Kodokan probably came from Kito Ryu. That jives nicely with my Kito guy that showed me some weird and gruesome footsweeps a few weeks ago, calling them, "old Kito stuff." But that idea - that the ashiwaza came from Kito Ryu - just took me by surprise, I suppose because there is not even a hint of ashiwaza in the Koshiki no Kata that Kano passed on to us.